Don't like the look of the holographic duck tape? Mod Podge $4 for 4 oz. I've been really vibing with the hologram trend. I've been re-pinning things like holographic and iridescent accessories and clear pvc outerwear. The issue with the trend is that the items always sell out fast. 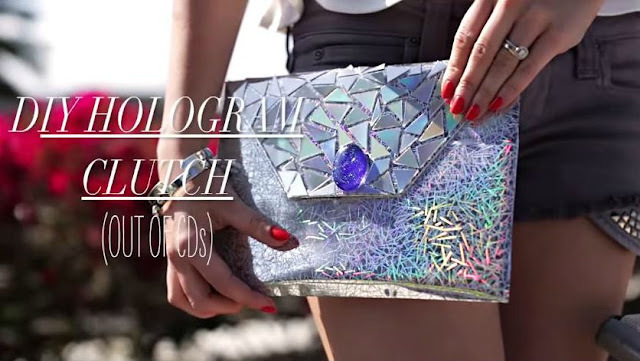 So it is convenient to have a video detailing how to DIY your own holographic item. It is a very unusual and stylish handbag. It will look even better in the evening by the light of lanterns. I like this tutorial, thanks for helping us to look perfect! This is an excellent video tutorial, thanks for sharing it with us! I am inspired by your amazing ability to easily create the things.